Dionne Warwick Biography, Net Worth, Is She Related to Whitney Houston? Home Musicians Dionne Warwick Biography, Net Worth, Is She Related to Whitney Houston? Dionne Warwick is simply one of the most iconic soul and R&B vocalists of all time. She is the most charted female vocalist of all time, bested only by Aretha Franklin. Warwick is best recognized for her collaborations with Burt Bacharach and Barry Manilow. She was enormously successful from the 60s through to the 90s and bagged 5 Grammy Awards in the process. We take you through the progression of her life and career. 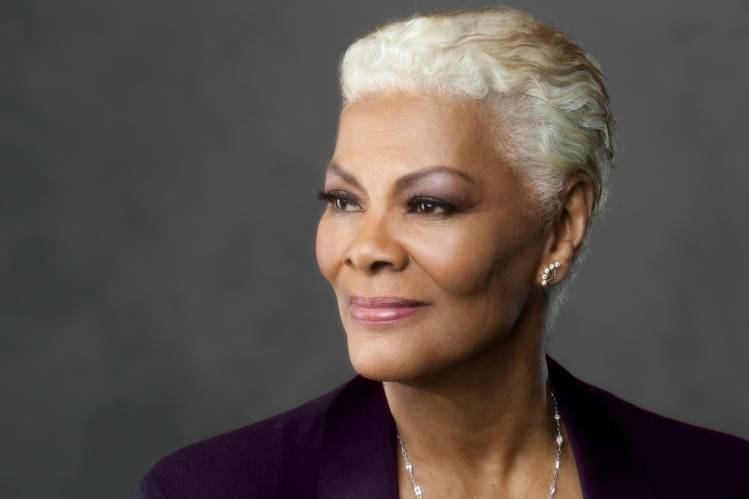 Marie Dionne Warwick was born on the 12th of December, 1940, in Orange, New Jersey. Her original surname is actually Warrick, however, Dionne stuck to Warwick after the name was mistakenly used on her first record. Warwick was born into a musical family, while her mother led a renowned gospel choir named the Drinkard Singers, her father was a music promoter. Additionally, Warwick’s dad also worked as an accountant, chef, and a Pullman Porter. Though Dionne Warwick is primarily African-American, she has Native American, Brazilian, and Dutch roots. Young Dionne became influenced by her parents’ love for music and began singing at their church choir from childhood. Alongside her now late sister, Dee Dee, Dionne formed a group called, Gospelaires. The group sang backup for many musicians at local venues as well as in recordings. Dionne was still with the group after she began attending the Hartt College of Music in Hartford, Connecticut. She had graduated from East Orange High School in 1959. Singing with the group around the country led her to meet composer and producer Burt Bacharach in New York. Bacharach would then invite her to work with him on a demo he was producing for Hal David. Dionne’s vocal abilities caught the attention of executives at Scepter Records who soon signed her to a record deal. Dionne Warwick released her first record with the label in 1962. Thanks to the success of the record, she began traveling for tours. Warwick’s success in the 60s only grew and by 1969, she had earned her first Grammy Award for best female contemporary pop vocal performance. Her next Grammy came two years later (1971) in the same category. Despite splitting with long-time collaborators Bacharach and David in the early 1970s, Warwick continued to enjoy moderate to high success in the 70s, a period when she earned two additional Grammy Awards. By the mid-80s, she had buried the hatchet between her and Bacharach and the duo resumed making music together. She featured on Bacharach’s “That’s What Friends Are For” which earned her yet another Grammy. Warwick’s presence began to diminish from the 90s, however, she continued making music into the 21st century. Dionne Warwick has also acted in quite a number of films. In the 90s, she became known as the spokesperson for Psychic Friends Network. She released her latest album in 2014, titled, Feels So Good. Dionne is said to have sold over 75 million singles and over 25 million albums worldwide. She released a total of 38 studio albums. Dionne Warwick no doubt made a fortune from the success of her records. However, it is one thing to make wealth and another to manage it. In 2013, news hit the waves that the iconic singer was in debt of about $10 million. She reportedly owed $7 million to the IRS in back taxes between 1991 and 1999, as well as $3 million in business taxes owed to the California government. Warwick blamed the debts to poor management of her business affairs. As a result of the debts, Warwick had to file for Chapter 7 bankruptcy. The filing also revealed the singer’s asset to be worth $25,000, her monthly income as $20,000 and her monthly expenses $21,000. Warwick had clearly fallen from her glory days. Years have passed and it hasn’t come to the media’s notice if the iconic singer has been able to settle her debts. After the bankruptcy declaration, Warwick never had any other major musical success. Thus, it is unclear how the singer would have been able to clear her debts. However, in addition to music, Warwick had a couple of side businesses, including a skin care and fragrance line. As of 2018, it isn’t clear exactly how much Dionne Warwick could be worth. Is She Related to Whitney Houston? Yes! Dionne Warwick is related to Whitney Houston. She is a cousin to the equally successful R&B star who passed away in 2012. Dionne’s mother Lee Drinkard and Whitney’s mother, Cissy Houston were sisters. Dionne and Whitney sang the duet “Love Will Find a Way”, which was featured in her 1993 album, “Friends Can Be Lovers.” The song was written by Donnie’s son David Elliot. 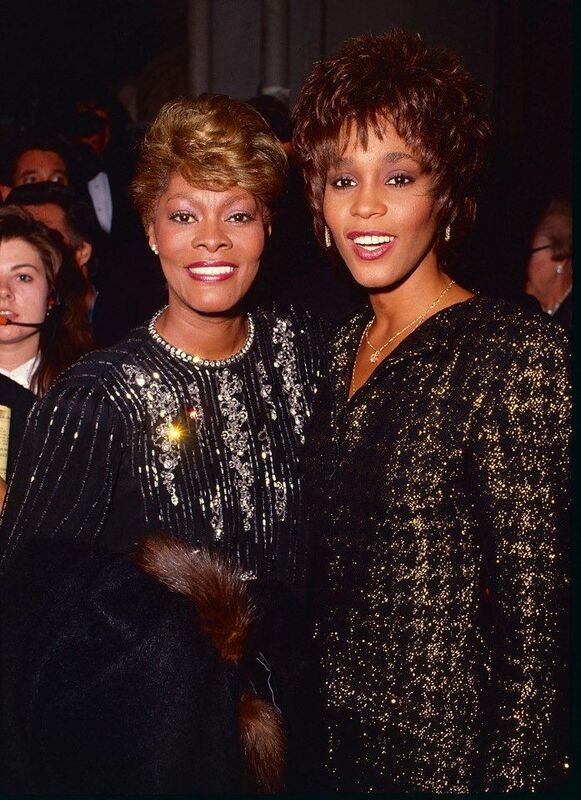 Dionne Warwick came forth to deny claims that her sister Dee Dee had sexually molested Whitney when she was a kid, an accusation that was put forth by a documentary released in July 2018.